Everyone loves the idea of having a dream vacation each year. Owning a place to run away to when you get the chance. It’s cheaper and easier than finding a hotel every year. Many people choose to own a timeshare. They have fantasies of making incredible memories and taking amazing getaways. This all seems wonderful until hit by the hidden fees. Keep reading to learn more about timeshare fees. There are four main types of timeshares. Each has their own terms and conditions. It is important to know everything you are agreeing to. Whether you have a fixed week timeshare or a points contract, reading the contract is vital. The small print is full of information you will want to know. It can be difficult to say no when a salesperson is pressuring you. Especially if you are enjoying a weekend on the Timeshare company’s dime. It’s crucial you take your time. Sales staff and contracts word information in favor of the business, not the buyer. You need to know what all the clauses of the contract are committing you to. An informed buyer is less likely to face surprises of hidden timeshare fees. They can add up in a short period of time and be more expensive than expected if you don’t do your research. One common fee that surprises people is timeshare taxes. These are usually on a per night basis. Timeshare taxes often start at $20 a night and get higher depending on the location of the timeshare. Annual hidden timeshare fees can run anywhere from a few hundred dollars to more than a thousand. It’s always wise to have a timeshare attorney look at the contract and deal with the legal issues. The resort can raise the associated fees each year. You’ll be responsible for paying them whether you use your timeshare or not. There will always be annual maintenance fees for your timeshare. These can be due once a year or on a monthly schedule depending on the resort or company involved. Maintenance fees are not fixed. You can end up having increased expenses if the resort does major renovations or repairs. This fee pays for the maintenance of the property. It can change depending on where it’s located and who’s running it. The average annual maintenance fee for timeshares is approximately $660. Properties can be reassessed at any time. If maintenance fees are not paid, your timeshare may go into foreclosure. Some mistakenly believe utilities are a part of maintenance fees but this is not true. The timeshare owner’s responsible for paying all utilities for the period of time they use it. When a timeshare is sold there will be real estate associated fees tacked onto the cost. Transfer fees, recording fees, and assessment fees may all be expected. You will have to pay real estate associate fees when you buy or sell your timeshare. These fees can add up to thousands of dollars and should be noted in the initial contract. Unexpected fees and rules associated with timeshares in foreign countries may arise. It can be almost impossible to sell your timeshare once locked in. Many sellers end up doing so at a huge loss. 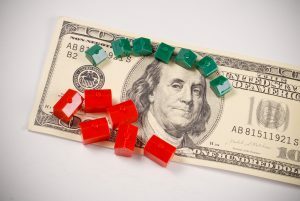 It is worth noting any losses in the sale of a timeshare are not eligible as a capital loss claim with the IRS. Most states have opt-out clauses for timeshares. This allows for a buyer to change their mind for a short period of time after signing the contract. In Florida, for example, buyers have 10 days to change their mind. The company must return their money within 20 days if a buyer changes their mind. You are responsible for all associated travel costs. These can add up in no time when the whole family is vacationing. This should be a consideration when buying a timeshare. Flights, gas, rental cars and insurance all need to be budgeted in. If the timeshare is outside of the country you may have added expenses. This includes passport fees, travel, health insurance, and meal allowances during travel days. It is wise to consult a lawyer specializing in timeshare sales. This will ensure you are aware of all fees. They will advise you of any expenses you may not be expecting. Last year a timeshare seemed like a great idea. This year things have changed. You can no longer use the timeshare because of health or financial reasons. 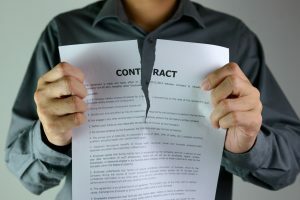 Now you want out of the contract but don’t know what to do. The first thing to remember is that timeshares are not real estate investments. It is unlikely that you will make money on the sale. In fact, most often sellers take a loss on the sale. After consulting a lawyer, you have a few options available to try and sell your timeshare. Timeshare exchange systems allow owners to trade theirs for another of equal value. This will open options for places you can vacation. Most timeshares include the exchange program in their initial contract. The company will include the first year in the sale but owners pay for later years. Many looking to get rid of their timeshare will hire a reseller. The FTC warns sellers to do research to ensure everything is legal and above board. There can be many hidden costs associated with the sale of your timeshare as well. This is especially true when outsourcing the sale. Thousands of scams get reported yearly and consumers are often warned to be vigilant. It is important to read the contract and be aware of all clauses, fees, and charges in the small print. Any contracts for timeshares in foreign countries are not protected by US laws. It is important to consult a professional with expertise in timeshares and international contracts. Owning a timeshare doesn’t have to be a life sentence. 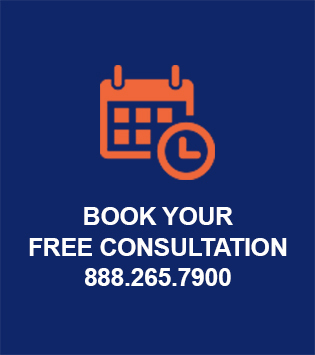 If you consult a timeshare lawyer to discuss your options, it is possible to free yourself from the stress. Check out our blog for more information on freeing yourself from your unwanted timeshare.